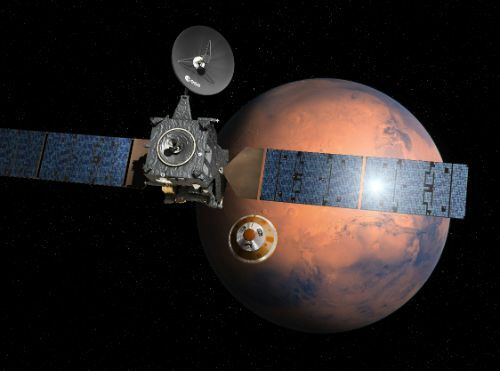 The ExoMars 2016 Mission aims to deliver to Mars the Trace Gas Orbiter for a multi-year mission studying the Martian atmosphere and the Schiaparelli EDM lander for a critical re-entry and landing demonstration followed by a short surface science mission. 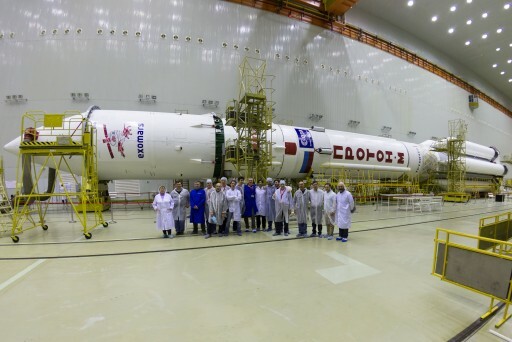 Both ExoMars missions use Proton-M launch vehicles provided by Roscosmos and built by the Khrunichev State Research and Production Center. 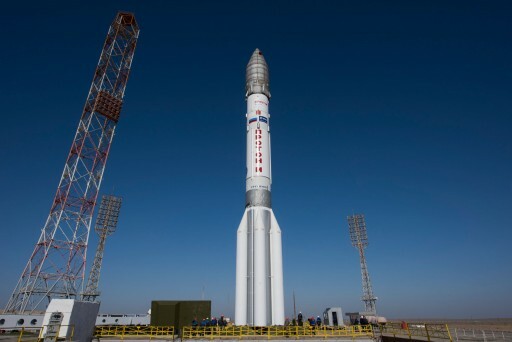 The selection of Proton as launcher has led to some discussion given its sub-par reliability record over the past decade with at least one failure per year in the last seven years, either due to issues with the Proton rocket or Briz-M upper stage. 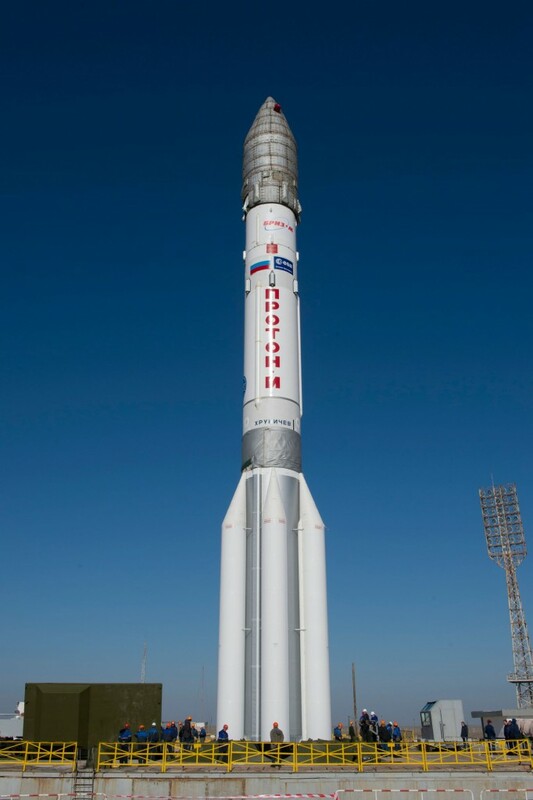 The Proton-M rocket represents the latest in several generations of Proton launch vehicles, inaugurated in 1965, starting out as a two-stage rocket before a third stage was first implemented by the Proton-K rocket which retired in 2012, leaving only the modernized Proton-M in operation. Even within the career of Proton-M, the evolution of Proton took the vehicle through several Phases as incremental upgrades are made to systems such as flight controls and avionics and weight-reduction measures are implemented to increase the performance of the launch vehicle. Proton-M stands 58 meters tall and consists of a three-stage stack with an additional Briz-M upper stage sitting atop, also built by Khrunichev. All four stages use hypergolic propellants – Unsymmetrical Dimethylhydrazine and Nitrogen Tetroxide, a toxic propellant combination that is self-igniting when coming into contact. Proton’s first stage is 21 meters long and 7.4 meters in diameter featuring a central oxidizer tank and six outboard fuel tanks, holding a total of 419.4 metric tons of propellants. The first stage is powered by six 1,750-Kilonewton RD-275M main engines, bringing Proton’s liftoff thrust to 1,014 metric-ton-force. The first stage fires for just under two minutes before handing off to Proton’s second stage in a hot-staging sequence – that means igniting the second stage at the same time of first stage shutdown and firing pyrotechnics a split second later to allow the stages to be separated. 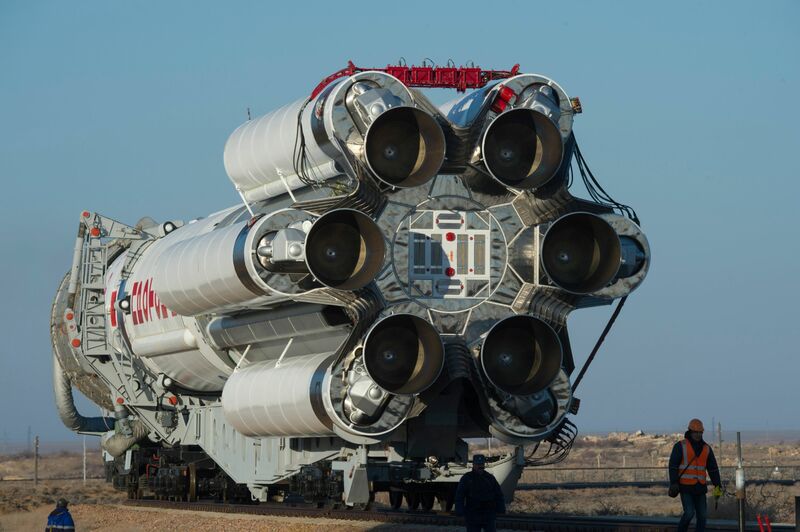 The second stage of the Proton rocket is 14 meters long and 4.15 meters in diameter, outfitted with four 599-Kilonewton engines of which three are designated RD-0210 and one is known as RD-0211 because it hosts additional heat exchangers used to generate gas for tank pressurization. Burning 156,100 Kilograms of propellants, the second stage burns for nearly three and a half minutes, also using a hot staging sequence. Stage 3, measuring 6.5 meters in length, hosts a single RD-0213 main engine and a four-chamber RD-0214 vernier that is used for attitude control. The two engines deliver a combined thrust of 613.8 Kilonewtons with the main engine burning for exactly four minutes and the vernier starting up as part of hot staging and continuing to burn after main engine shutdown to optimize the insertion accuracy. While the third stage is firing, Proton separates its payload fairing which is 15 meters long and 4.35 meters in diameter. Proton’s job is done in nine minutes and 42 seconds when the Briz-M upper stage will take over for a multi-burn mission taking over ten hours. Briz-M hosts its own power, navigation, control and propulsion system, enabling it to operate for extended missions. It measures 4.1 meters in diameter and 2.6 meters in length, consisting of a Briz-M Core Module hosting propellant tanks, engines and all support equipment, and a doughnut-shaped Auxiliary Propellant Tank that carries extra propellant and is separated once emptied out. Briz-M is outfitted with an S5.98 main engine, delivering 19.85kN of thrust with re-start capability, consuming a total propellant load of 19,800 Kilograms. Four 392N vernier thrusters are coupled to a separate high-pressure propellant system for propellant settling maneuvers and small dV burns, and 12 attitude control thrusters stabilize the upper stage in flight. Countdown operations for the Proton-M begin 11.5 hours ahead of the planned launch time with the activation of the Briz-M upper stage for for a thorough set of checkouts of the Guidance, Navigation and Control System. Over the first several hours of the countdown, engineers are busy at the launch pad, making final hands-on preparations on the Proton launch vehicle and the various ground systems for the propellant loading operation. The ExoMars spacecraft is powered up and goes through a series of final checkouts starting well before that as teams at the European Space Operations Center report to console 12.5 hours ahead of launch to power up the spacecraft. About eight hours before T-0, non-essential personnel evacuate the launch pad for propellant loading. Around the same time, teams at the European Space Operations Center Report to Console to begin a long countdown operation starting with a series of communication checks between the individual support stations, also going through data flow tests with the ground stations needed for the first hours of the mission. Proton-M is powered up approximately six hours prior to T-0 to begin checkouts of the Guidance System and Spacecraft Abort Unit. 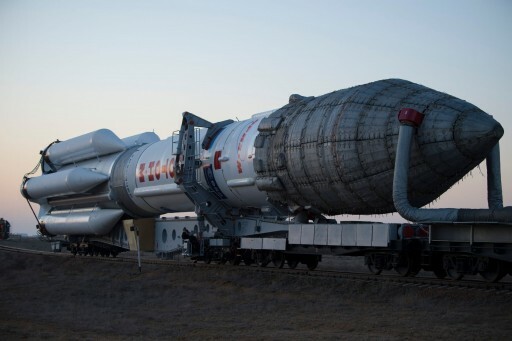 The Russian State Commission meets to discuss the status of launch preparations, providing the formal approval for propellant loading operations that commence at about T-6 hours. Over the course of a three-hour operation, the first, second and third stage of the Proton receive a total of 622,075 Kilograms of toxic Unsymmetrical Dimethylhydrazine fuel and Dinitrogen Tetroxide oxidizer. Briz-M is loaded prior to the rollout of the Proton rocket at a dedicated fueling station. Propellant loading procedures finish three hours prior to liftoff, allowing the pad to be re-opened for the final preparatory work on the launch vehicle such as the removal of protective covers and the fairing’s large thermal cover. Work platforms are retracted and teams put all systems in the proper configuration for liftoff leading up to the last hour of the countdown. The large Service Structure starts rolling back from the Proton rocket one hour before launch, clearing the way for Proton’s liftoff. Reaching a safe launch position, the Service Structure is secured and teams depart the launch pad and report to their support stations – either at a safe distance or inside the bunkers from where the countdown is controlled. The Master Countdown Sequencer is initiated at T-45 minutes as the individual sequencers on the spacecraft, the upper stage and launch vehicle as well as Ground Support Equipment are synchronized. The Proton Launch Abort System and the Spacecraft Abort Unit are configured for flight as the countdown approaches T-30 minutes. 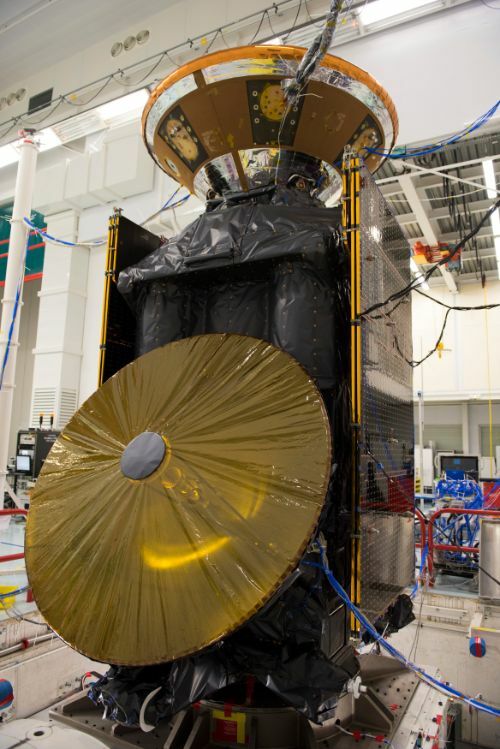 ExoMars is transitioned to battery power and heads into its flight mode to allow the spacecraft team to voice a final GO to the Launch Team prior to the ten-minute mark. 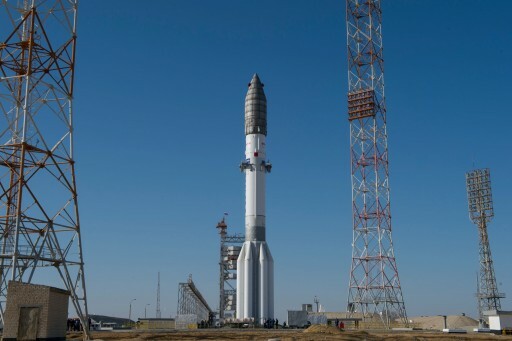 Final checks occur at that point to clear the Proton-M for its Automated Countdown Sequence picking up at T-5 minutes. Pressing into the Automated Countdown, Proton-M aligns its Flight Control System and initiates the Master Sequencer based on the T-5-minute hold release time. The Briz-M upper stage switches over to internal power at T-5 minutes, enabling its own countdown sequencer to collect inertial navigation data during Proton’s flight in order to have a good navigation solution when taking control of the mission. Proton initiates the pressurization of its propellant tanks two minutes before launch coinciding with the transfer to battery power on the three-stage rocket. At the same time Briz-M enables its Master Sequencer and sends a GO Signal to the launch vehicle with a final automated check of all LV parameters taking place at T-3.1 seconds. The successful completion of the status poll triggers the ignition sequence of the first stage. The six RD-275M engines come to life 2.5 seconds ahead of liftoff – igniting and throttling up to an initial thrust stage before ramping up to a full liftoff thrust of 1,014 metric ton-force. 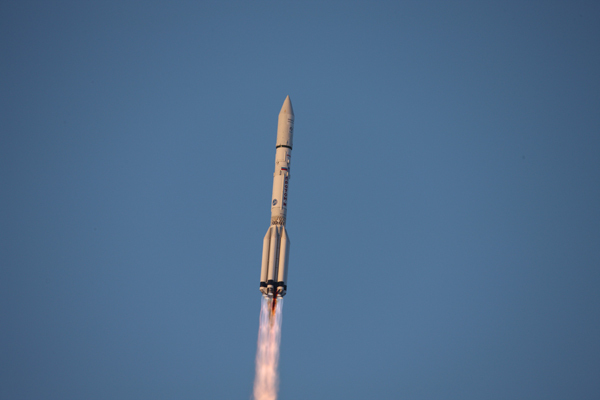 Proton-M does not use a hold-down system and starts rising from its pad once the engines reach their launch thrust, pulling up the main umbilical located at the base of the rocket until it is separated which triggers the Contact Liftoff Command – signaling to Proton that its flight has begun. Although ExoMars is Proton’s first interplanetary flight in nearly two decades, the mission profile of the three-stage launcher will be no different than any of its regular Geostationary Transfer Orbit flights. 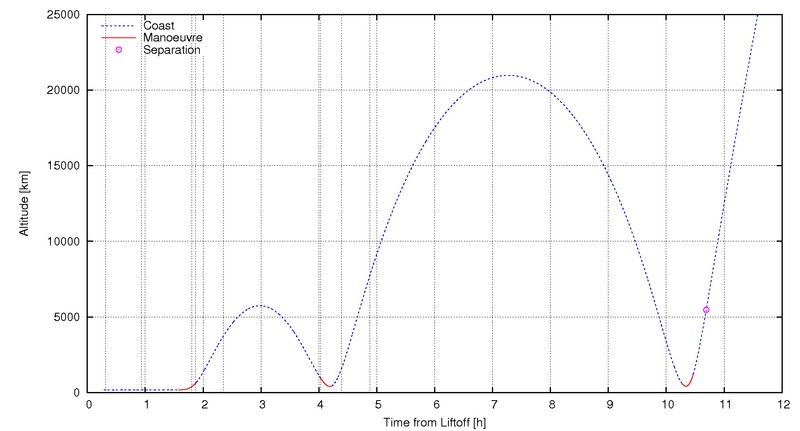 For Briz-M, making its very first flight beyond Earth orbit, the flight profile looks substantially different from a GTO-delivery mission, taking ten hours and 44 minutes from liftoff to spacecraft separation with four main engine burns. The difference in mission duration with nearly 11 hours instead of the usual nine and a quarter hours for GTO missions should not be a problem for Briz-M since the stage is also used for Supersynchronous Missions lasting 15 hours from liftoff to satellite deployment. The big difference is the burn design, taking the vehicle through different regions of Earth’s radiation belts than a run-of-the-mill GTO flight and radiation has been known to be a cause for Russian mission failures in the past. However, Briz-M and its smaller sister Briz-KM have shown a good performance record in recent years, overcoming a rough patch of a few failed missions and close calls. 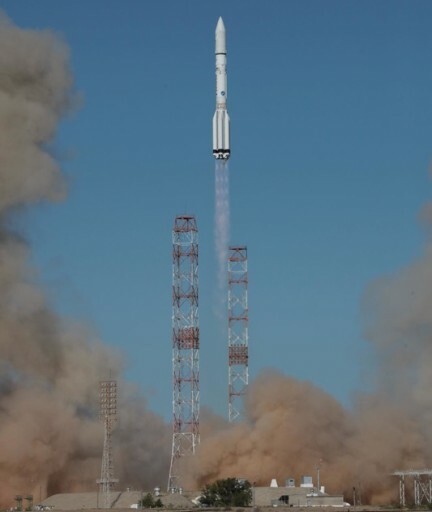 The climb to orbit begins from Baikonur’s Site 200/39 at 09:31:42 UTC on March 14, a launch time precisely calculated to deliver ExoMars 2016 on a precise interplanetary transfer trajectory to intercept Mars in mid-October for orbit insertion and Schiaparelli’s landing adventure. 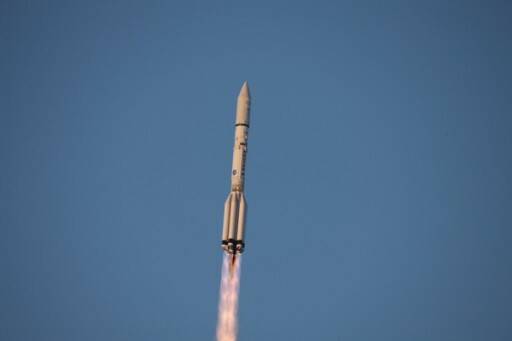 Rising under the power of its six engines, Proton will complete a short vertical ascent before pitching and rolling onto the standard departure path, taking the launcher along a launch azimuth of 61.3 degrees, leaving Baikonur to the north-east, headed towards the Kazakh-Russian border. Burning 3,500 Kilograms of propellant per second, Proton will quickly pass the speed of sound and encounter Maximum Dynamic Pressure right at the T+1 minute mark. The first stage will fire until T+1 minute and 59 seconds when the second stage takes over in a hot-staging sequence, igniting its four main engine to head onward to orbit. Stage separation takes place 43 Kilometers in altitude, after the first stage accelerated the stack to 1.72 Kilometers per second. Stage 2 consumes 850 Kilograms of propellant per second and operates for three minutes and 28 seconds, boosting the vehicle’s speed to 4.5km/s and burning out 129 Kilometers in altitude. The separation sequence between the second and third stage commences at T+5:24 when the four-chamber vernier is ignited. Stage 2 shutdown and separation, assisted by retrorockets, occurs three seconds later, and, after another three seconds, the main engine of the third stage is lit. 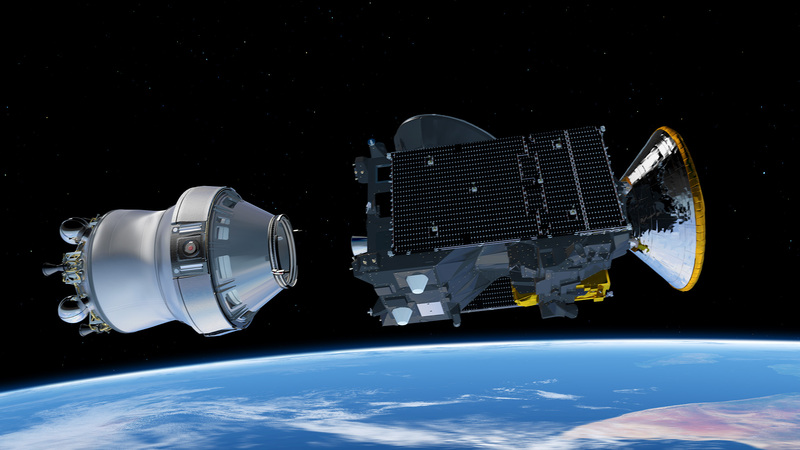 Five minutes and and 45 seconds into the flight, Proton will be at sufficient altitude for the protective payload fairing to be split in half and separated from the rocket, revealing the ExoMars spacecraft for the rest of its ride into orbit. The third stage main engine concludes its burn nine minutes and 31 seconds after liftoff and the vernier fires for another ten seconds to optimize the insertion accuracy. Proton aims for an injection 153 Kilometers in altitude at a velocity of 7.23km/s – not yet at orbital speed, requiring Briz-M to finish the initial orbital insertion. Separation of the Briz-M upper stage comes nine minutes and 42 seconds into the flight, being released into a sub-orbital trajectory. For Briz-M, the flight starts with a 90-second coast phase during which the 22,800-Kilogram upper stage stabilizes its orientation for the start of first burn and ignites its vernier thrusters to settle the propellants inside the tanks to ensure a clean ignition. The first Briz-M burn, commencing shortly after T+11 minutes, is around five minutes in duration, targeting a Low Earth Parking Orbit of around 175 Kilometers, at an inclination of 51.5 degrees – the standard insertion orbit for missions from Baikonur. Arriving in orbit, the stack is set for a coast of over one hour. 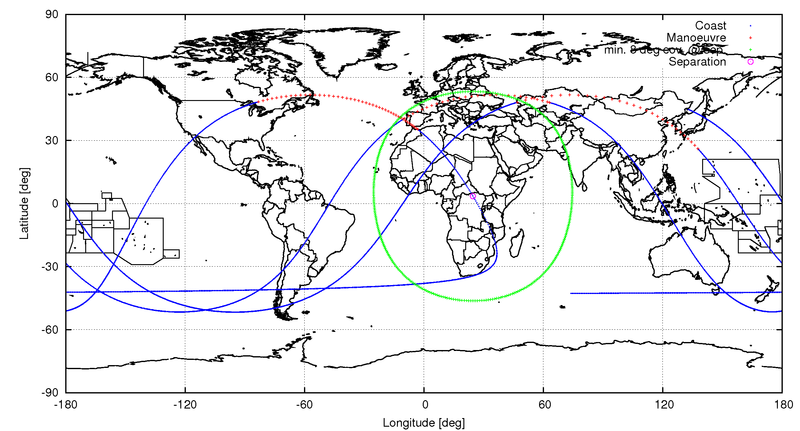 Instead of aiming for an elliptical Geostationary Transfer Orbit with a high-point over the equator and a minimal inclination, Briz-M will have to target a position in space where Mars will be on October 19, TGO’s arrival date. This makes this mission very different from all recent Briz-M flights. In its circular transfer orbit, Briz-M will complete over one hour of coasting during which the stage will be in constant motion to evenly distribute sunlight on is surface. Passing over Asia after its first lap around Earth, Briz-M ignites its S5.98 main engine again at T+1 hour and 34 to begin the process of raising the apogee of its orbit ion a burn lasting around 18 minutes. The burn stretches from the south-western border of Kazakhstan, over Mongolia and China and out over the Pacific Ocean. Because of the relatively low thrust of the main engine, the apogee-raising is broken into several burns because one continuous burn would take too long and not be efficient from an orbital mechanics point of view. The second Briz-M burn delivers the vehicle into a Preliminary Orbit of 250 x 5,800 for another full orbit of coasting so that the third burn can again occur centered around the perigee passage to further boost the apogee. Passing apogee over the Pacific, the stack will be inbound once more. 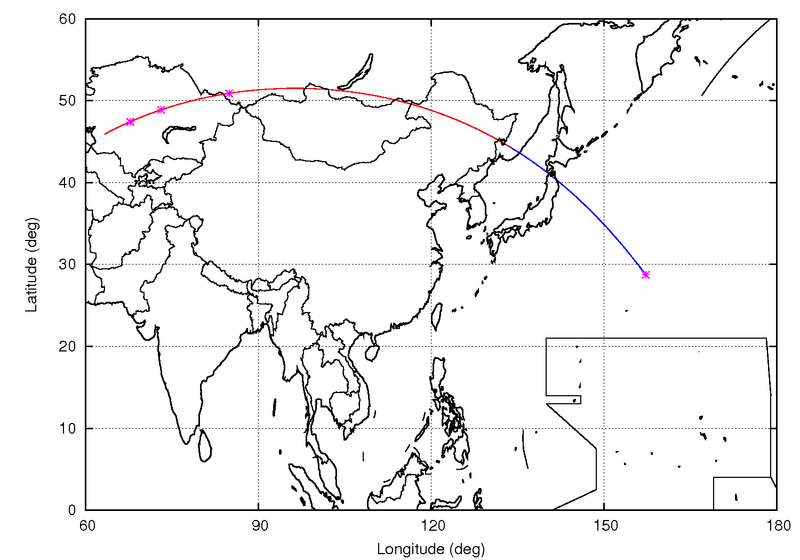 Ignition on the third burn occurs right around the T+4-hour mark into the flight with an expected burn duration of 12 minutes, targeting what is known as the Transfer Orbit. The burn starts when Briz-M is over the Atlantic, about to cross over Portugal and takes the vehicle across central Europe, all the way to central Kazakhstan. 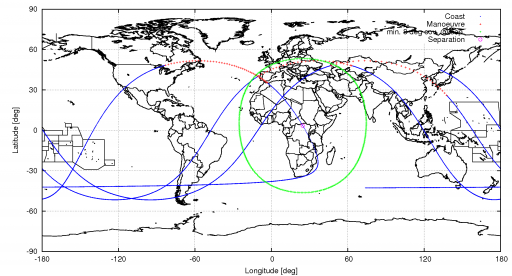 The third burn of the mission is aiming for an orbital apogee at around 21,000 Kilometers, creating an orbital period of six hours. About one minute after the completion of its third burn, Briz-M jettisons its Auxiliary Propellant Tank that is filled with 14 metric tons of propellants at liftoff, but fully empty by that point. Separation is accomplished by firing the vernier thrusters and cutting all connections from the torus-shaped tank, allowing the core of Briz-M to pull away. Next will be the longest coast phase of the mission, giving teams plenty of time to bite their nails as Briz-M passes its high apogee and is inbound for the last time. 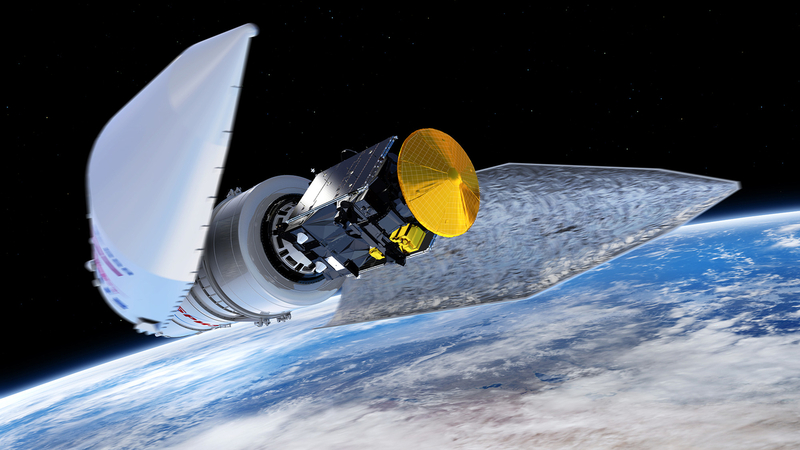 Ignition of the engine on the mission’s fourth and last burn is expected at T+10 hours and 19 minutes, stretching from the Great Lakes over Canada, the Atlantic Ocean and to North Africa for a total duration of 10 minutes. Spacecraft separation occurs 12 minutes after the last burn, ten hours, 41 minutes and 19 seconds after liftoff. 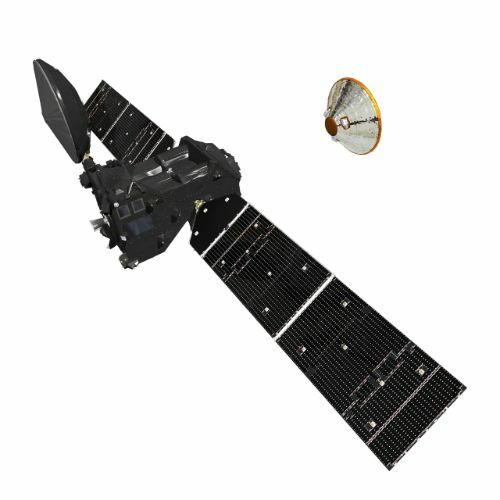 ExoMars 2016 aims for a characteristic energy of 7.44km²/s² for its Type II Trans-Martian trajectory. First contact with the ExoMars spacecraft after separation is expected at 21:28:26 UTC through the Malindi ground station in Kenya, 76 minutes after spacecraft separation. Briz-M finishes its mission with a pair of avoidance maneuvers using only its high-pressure propulsion system to enter a trajectory that ensures the rocket stage never meets its former passengers again while also missing Mars.